In an earlier article, we took a look at Particle Functions and Variables. 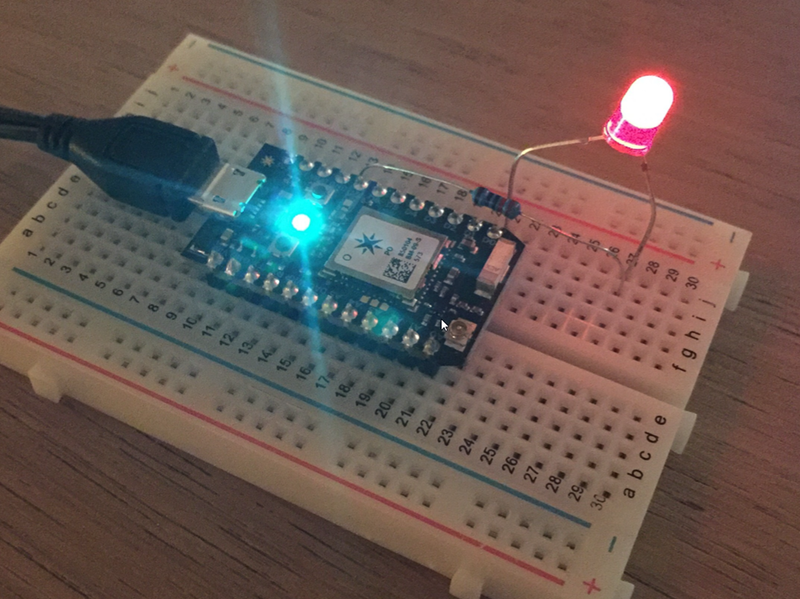 We wrote a simple application that can blink an LED with a function and read the value of a photoresistor with a variable. Although you can easily call the function or read the variable with the Particle CLI or with a REST call (using cURL for instance), you might want an easy web-based experience to work with your device. Porter (http://porterapp.com/) might be the answer! The cool thing is that Porter automatically finds all your functions and variables and exposes them to you. Using the Customize option, you have some control over the UI elements. 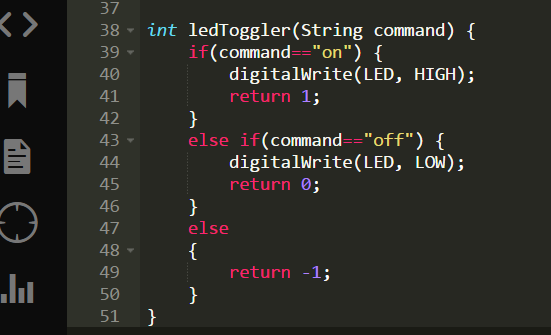 In the above screen, I changed the Led function to use on and off buttons instead of the default text input field where you need to type the parameter to the function (on or off). The variable is exposed as well and you can obtain the most recent value with the refresh icon. Note that Porter is a paying service and that e-mails and SMSs require a specific plan. They have a 30-day trial. As you can see, it’s very easy to use Porter and for quick access and control of your prototypes, it’s a great service. It’s not very difficult to build a quick web UI for your device yourself but it all comes down to gettng off the ground quickly and focusing on what matters in the early stages. In the two previous posts, we discussed setup and talked about triggering actions and reading sensor data. Particle also allows you to publish events. You can subscribe to these events or pass them to other systems such as Azure IoT Hub. Let’s build on the previous example with the LED and the photoresistor. When we read a high value from the photoresistor (yes, more light) we will publish a lights on event including the value we have read. When we read a low value, we will publish a lights out event. This is not very different from the earlier post. I added a boolean (true/false) variable called bright to maintain the state (is it bright or not) and we initialise the variable depending on the amount of light we measure at the start. Another course of action is to use Particle’s IFTTT integration to use IFTTTs rich ecosystem of connected services. Particle is one of these services so just provide IFTTT with credentials to Particle and you are set! Do know that the published events are not stored by Particle. If you want to do that, one way of achieving this is with the Azure IoT Hub integration. In a later post, I’ll talk more about that. In yesterday’s post, I talked a bit about the setup process and initial configuration of a Particle Photon. 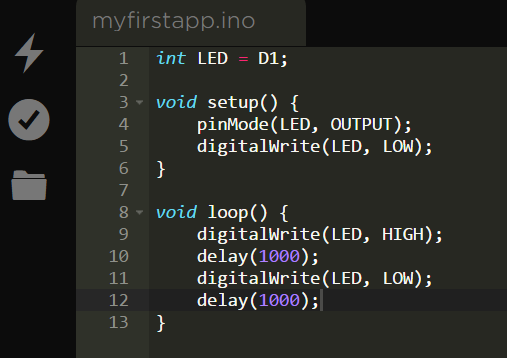 To start quickly, we used the Tinker firmware and the Particle iOS app to light up a LED using digitalWrite to light it up with full brightness (full 3.3V) but also with analogWrite to vary the brightness depending on the value you write (between 0-255 using the PWM port D0). Today, we’ll add a photoresistor and a LED with the LED positioned above the photoresistor. 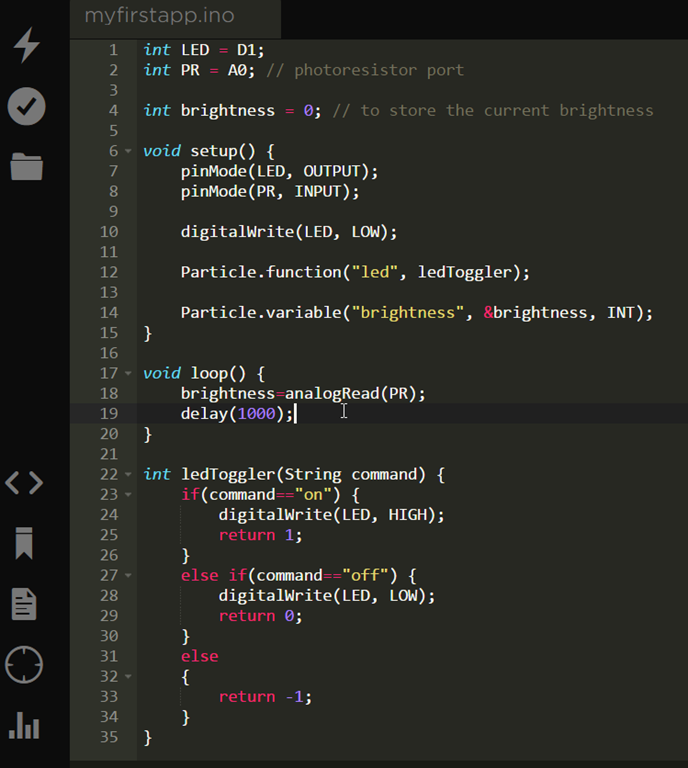 We’ll turn on the LED from the Particle Cloud using a Particle Function and we’ll read out the photoresistor value using a Particle Variable. For the photoresistor, I only had a Grove Light Sensor lying around. If you don’t know the Grove system, it’s a a collection of sensors with simple four-wire connectors that typically work with an add-on board for these connectors. For the Photon, there is such a solution as well. To get started easily you could go for the starter kit: https://www.seeedstudio.com/Grove-Starter-Kit-for-Photon-p-2179.html. Since I do not have the Grove add-on board for the Photon, I connected the sensor using three male-to-female (two for power and ground and one for the signal) wires and connected the signal pin to port A0 on the Photon. 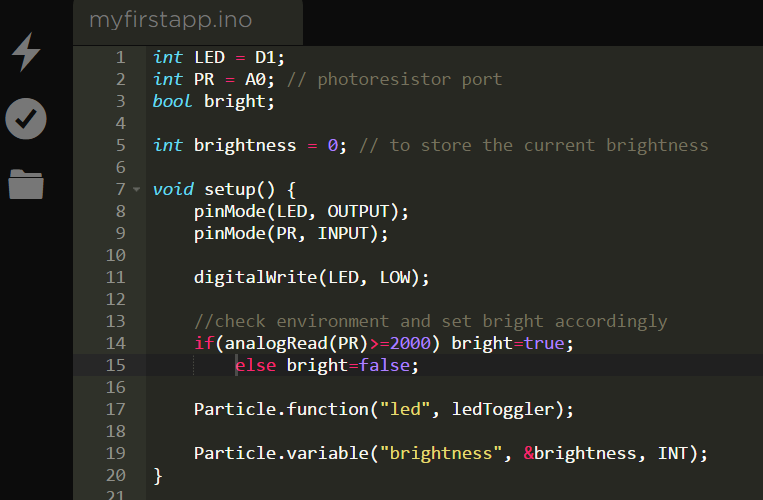 Indeed, the photoresistor will output a value to read using analogRead. The value rises with increasing brightness. So how do we turn on the LED from the Particle Cloud? That’s where Particle Functions come in. 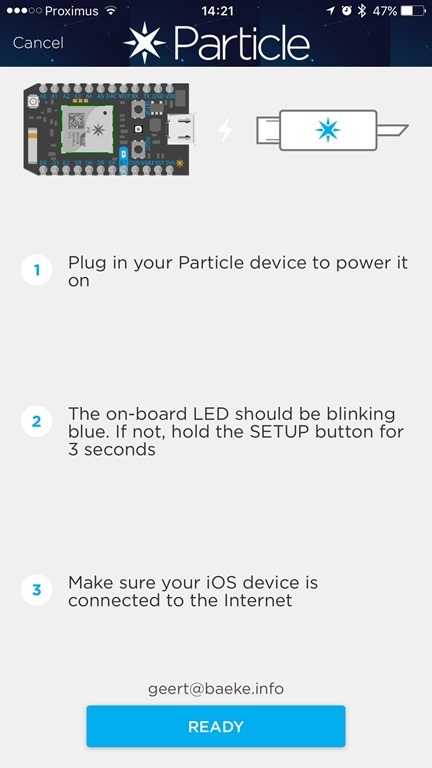 Particle Functions make it extremely easy to control your device from anywhere. In fact, it’s one of the easiest solutions I have found to date. But first, you have to know something about the integrated development environment called Build. Okay, cool but not very interesting. 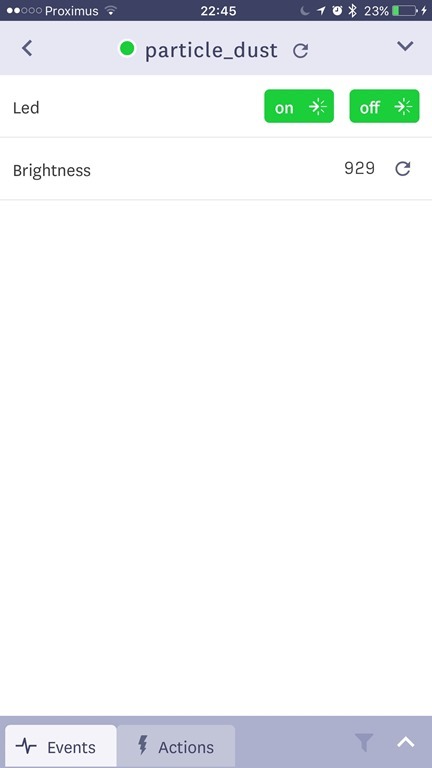 Let’s put this LED under cloud control with a function. 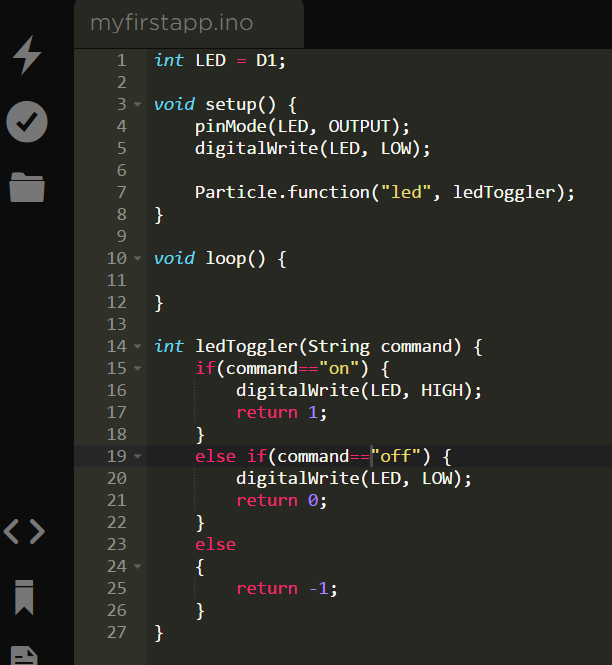 Let’s write a Particle Function that can turn the LED on or off remotely. Above you see two calls to turn the LED on and off. After each call, you also see the return value of the function. Above you see the same two calls to turn the LED on or off. The HTTP POST returns some JSON with the return_value from the function. Without the LED above the photo resistor, inside the house, we get 1485 as a brightness value. With the LED turned on right above it, the value is 2303. Great!!! By the way, the LED is not too bright because I used a 1000 Ohm resistor. You have now seen how easy it is to trigger actions with Particle Functions and read sensor data using Particle Variables. This functionality automatically comes with your Particle device at no extra cost and is completely driven from code. There is no need to use other services to post sensor data which keeps things simple. And I like simple, don’t you? In a subsequent post, we’ll take a look at publishing event data using Particle Publish! Stay tuned! At ThingTank, the IoT brand of Xylos, we make our own IoT hardware which can be quite complex if you need to connect multiple sensors efficiently, or even multiple MCUs where each MCU has its own set of sensors. Most people that want to start with IoT (typically at home or for a small company proof of concept) use either Arduino or Raspberry Pi with one or two sensors connected. Both solutions are great in their own right but there are others! One such solution is Particle, a combination of both hardware, software and cloud. Let’s take a look at what they offer from a hardware and configuration perspective. Future posts will discuss their cloud offering and how to connect to other systems such as Azure IoT Hub. Particle sell their own hardware (like the Photon and Electron) but they also work with other hardware such as a Raspberry Pi. 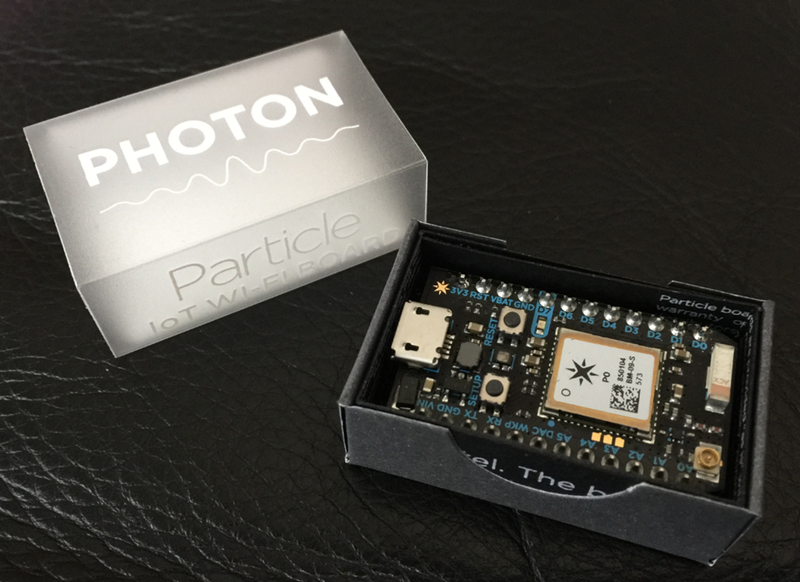 I bought a Photon from https://www.antratek.be/photon. It costs around 25€ which is not as cheap as some alternatives but still well worth the money. As part of the configuration process, you can give the device a name. The device name (or device id) can later be used in HTTP calls or from the Particle CLI. This post will not discuss how to flash the device with a custom firmware (that’s for a later post). But even without a custom firmware, you can still start exploring the device and do useful things with the digital and analog ports using the mobile app and the out-of-the-box Tinker firmware. 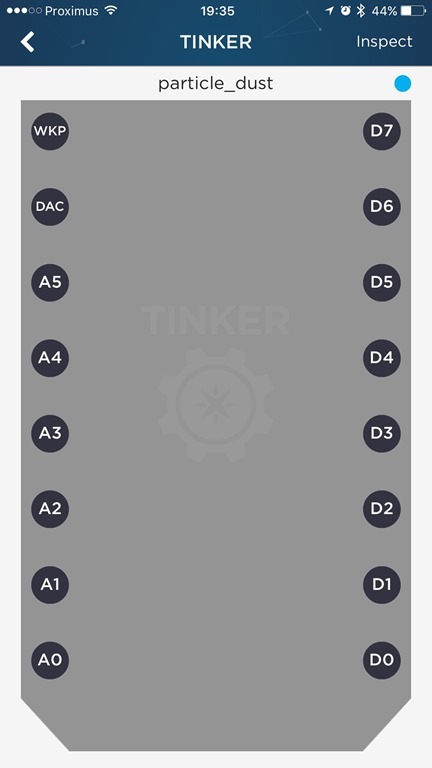 The Tinker firmware can always be flashed back to the device if needed. In this case, we want to turn on the onboard LED so we obviously want to write to the port. 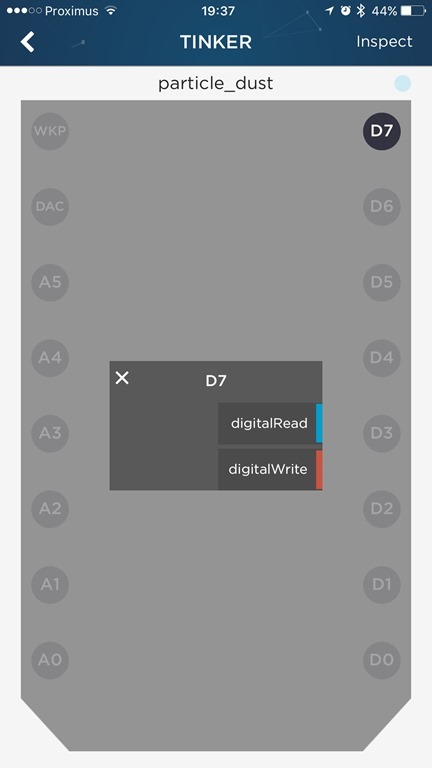 After selecting digitalWrite, you can select D7 to set the port HIGH (3.3V) or LOW (GND). When the port is set to HIGH, the on-board LED will light up in blue. Cool no? 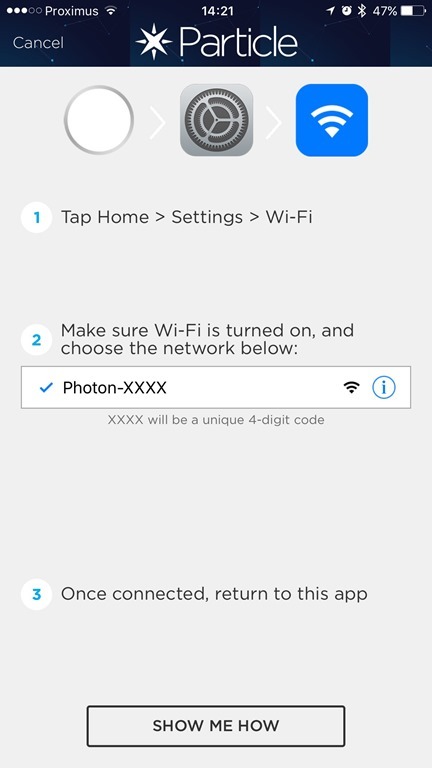 Although not very useful, you have now configured the Photon to connect to the Particle back-end in the cloud and you can use their app to control the ports from the cloud as well. Particle has gone out of its way to make it as easy as possible to get started. Setting up the device is super simple and getting started with the built-in Tinker firmware makes it easier for beginners to understand how to use the ports without having to start coding. In follow-up posts, we’ll have a look at some of the cloud functionality and we’ll connect some more useful sensors like a photoresistor and a PIR sensor… Stay tuned!! !